Employers often request that employees agree sign a “non-compete” clause as part of an employment contract, limiting or eliminating the potential of post-employment competition. In many circumstances, such non-competition agreements are not enforceable. Our courts do not like to interfere with an individual’s ability to earn a living any more than necessary to protect an employer’s legitimate rights. 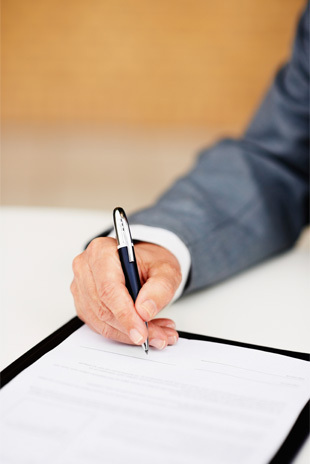 If you have been asked to sign a non-competition agreement, or agreed to one in the past and are now wondering what you can and cannot do, allow us to review your employment contract and provide you with strategic advice. The MacDonald & Associates team of employment lawyers has a wealth of experience dealing with this area of employment law, on behalf of both employers and employees, and offers objective, trustworthy counsel based on this solid foundation. Natalie MacDonald is the best employment lawyer, bar none, in Canada! If you don’t speak to her, you will be making a mistake. I retained Natalie MacDonald to represent me on a wrongful dismissal. Overall, Natalie’s representation of me was excellent, as was her professionalism and organization. While in a mediation session once with Natalie, I noticed very quickly that she was much more prepared than our opponent. We had answers, they didn’t. When hiring Natalie, I knew she was intelligent and highly capable but I was surprised at the two styles I had witnessed. It led me to ask Natalie why she was more prepared than the opposing attorney. Her answer is Natalie’s magic: Natalie prepares every file, every client, as if she’s going to trial. There are no short cuts. It’s full service from the moment you say hello – and what service it is. In my opinion, that’s what differentiates Natalie from her opponents. You have your best chance at winning sitting on her side of the table.